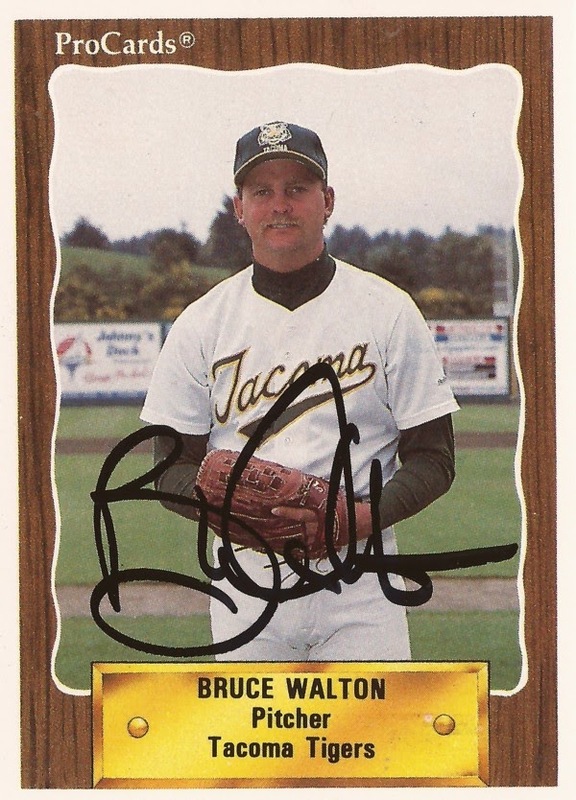 Bruce Walton's fastball wasn't that fast, it was in the mid-80s, The Modesto Bee wrote in 1987. But, at 8-5, Walton made it work. "People say he doesn't throw hard enough, but he can pitch," Modesto manager Tommie Reynolds told The Bee. "He can throw to spots and he can find a weakness (in a batter). That's what pitching is all about. You know you're going to be in the ball game when you're playing behind him." Walton could pitch that year at single-A Modesto. Four years later, he would be pitching in the majors, for the first of four seasons with looks at the bigs. More recently, Walton has been teaching that pitching, back in the major leagues as pitching coach with the Blue Jays. Walton's career began in in 1985, taken by the Athletics in the 16th round of the draft out of the University of Hawaii. He played that first year at rookie Pocatello, going 3-7 in 18 outings. The next year, Walton arrived at Modesto. He also went 13-7, with a 4.09 ERA. He started 6-0, and he made the California League All-Star team. In early July, he beat Salinas 4-2, and had a perfect game going into the seventh, according to The Bee. "I hit every spot I wanted to hit," Walton told The Bee after that July game. "My fastball, slider and changeup all were working." Walton made the league All-Star team again in 1987, but he couldn't participate. He'd been promoted, to AA Huntsville, The Bee wrote. At Huntsville, Walton turned reliever. He got 18 outings in the second half, only two starts. He had a 3.10 ERA. 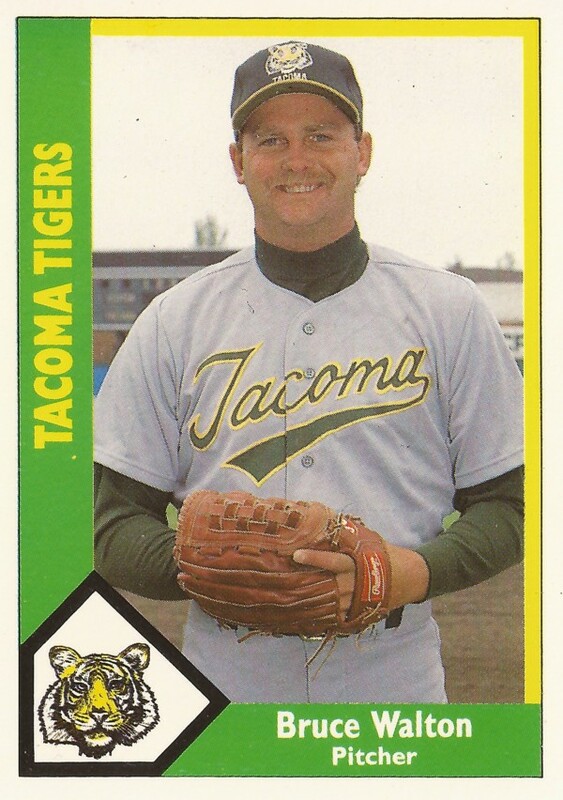 Walton stayed at Huntsville for 1988, hitting AAA Tacoma in 1989. Walton made an injury-depleted Oakland in May 1991. He got into 12 games, giving up nine earned runs in 13 innings. In June, he picked up his first major league win, after giving up his first major-league grand slam. In his final outing of the year, Walton slipped on the mound and fell as rain poured down, The Associated Press wrote. He gave up two of his earned runs in that outing, a third of an inning. Athletics GM Sandy Alderson later told The Fort Worth Star-Telegram he felt Walton and others were rushed that year, something they tried to avoid going forward. Going forward, Walton was used sparingly. He got into seven games with Oakland in 1992. Moving to Montreal in 1993, Walton got into four games. In 1994, with the Rockies, Walton got into his final four big league contests. One more season in independent ball at St. Paul and Walton's playing career was over. By 1996, though, Walton was back, coaching with the Blue Jays at rookie Medicine Hat. In 1998, Walton made Blue Jays minor league pitching instructor. In 2002, he returned to the majors as Toronto bullpen coach, getting promoted to pitching coach for 2010. In 2010, Walton oversaw Brandon Morrow's conversion to full-time starter, watching Morrow go 10-7. One of those wins came in August, against the Rays. It was a complete-game, one-hitter where Morrow struck out 17. "It's part of the reward of the job," Walton told The Toronto Sun later. "To watch the kids and try to help them in every way and then they go out and throw a game like that, it's special."